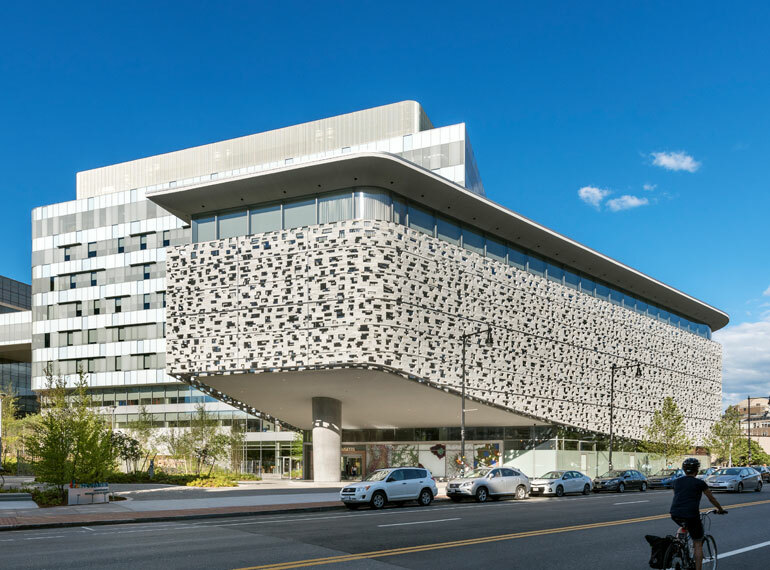 Novartis Institutes for Biomedical Research (Novartis) engaged renowned designers/artists Maya Lin and Toshiko Mori to create the vision for a new 795,000 sf Global Research Headquarters for the company. The project included the construction of two new buildings designed to create an inspirational work environment. 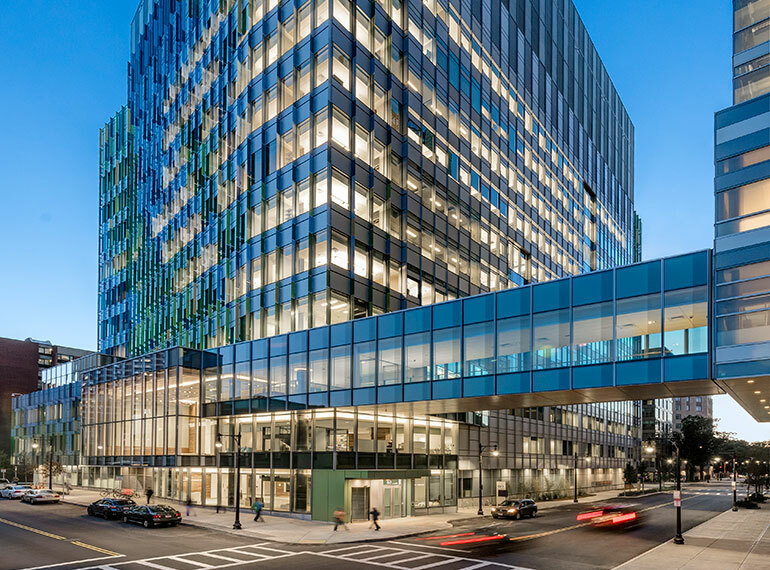 In addition to new lab and office space, the expanded campus was designed to bring vibrancy to the area and to help link Kendall Square and Central Square in Cambridge, MA. 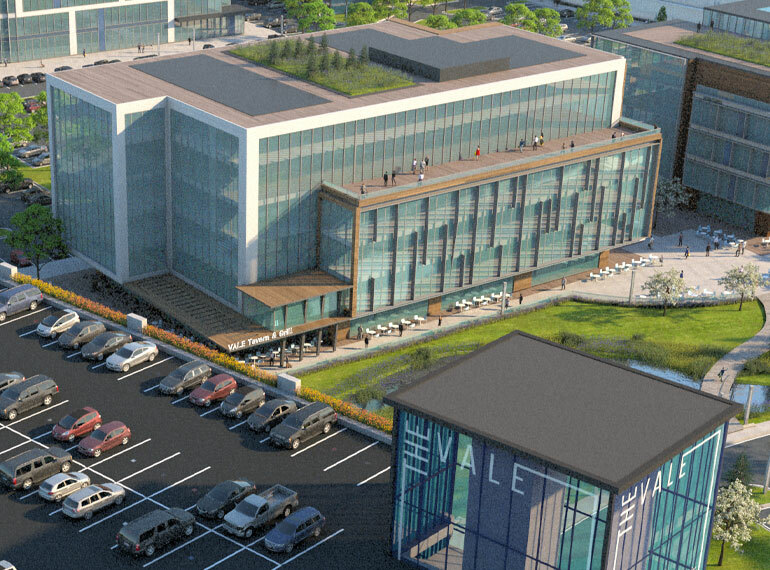 Novartis engaged Leggat McCall Properties to provide strategic consulting and project management services for the project. In this role, LMP led the permitting process, contract structuring, procurement strategy, value management process, and financial reporting through the execution. The project required LMP to work collaboratively with all parties. Though its ambitious design was initially met with opposition by certain team members, ultimately, LMP led the entire team of designers, engineers, contractors, and subcontractors to collaborate and find solutions to achieve the artist’s vision. The process required a high degree of coordination and perseverance. The resulting stone screen wall is a key artistic feature of the building. With two designers, each with their own architect, Quality Assurance and Quality Control (QAQC) became a critical design consideration. LMP quickly learned that once the architect issued a document, it was important to review the document with both the designer and their architect to ensure that the artist’s vision was properly preserved in the architect’s interpretation. These meetings facilitated the flow of information among the teams and ensured that the vision of the artist was preserved and detailed properly in advance of purchasing. This approach saved money and helped achieve the artistic vision of the project. The project also had the unique challenge of incorporating a tunnel under Massachusetts Avenue to accommodate utilities. Due to the ambitious design goals and evolving programming needs of the project, LMP actively managed costs through an effective change management process that enabled the avoidance of unnecessary changes, while accounting for new technologies and needs. The team worked collaboratively throughout the project to continually find and implement innovative ways to cut costs or shorten the schedule. For example, the team proposed and implemented a modular approach to MEP fabrication, delivery, and installation. LMP analysis was able to further conclude that although modular fabrication worked well for one building, traditional MEP installation was more cost-effective for the second building due to changing programming needs. Ultimately, the plan worked effectively. For one of the buildings, the MEP systems were delivered to the site on 40-foot trailers, assembled on the ground, tested, and then hoisted into place. The process required a high degree of coordination, but it saved time, labor, and money. 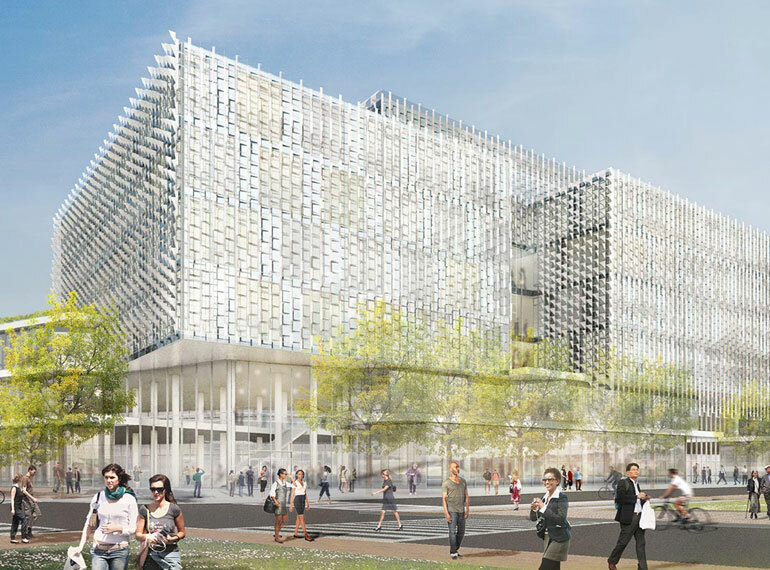 The resulting complex features collaborative research space, cross floor communication, a full auditorium, vivarium, NMRs, a robotic drug analyzer, a high-performance curtain wall, and a 3 MW cogeneration plant. © 2019 Leggat McCall Properties. All rights reserved.